Marketing your HVAC or business is no easy task, especially in today’s marketing landscape. Today, plumber marketing is a different game. You can’t just rely on outdated methods like placing ads on yellow pages or flyer distributions anymore. While some traditional marketing methods like word-of-mouth referrals and cold calling may still work for your HVAC company, these methods alone do not have enough volume to bring you a steady flow of customers. Therefore, you’ll need to rely on HVAC digital marketing to stand out from your competitors. Read on to learn how to make digital marketing work for your HVAC business. Your business website is your private piece of real estate in the digital world and is a key factor in your HVAC online marketing. It’s where you establish your presence, build trust with an HVAC website design for your visitors, and more importantly, convert visitors into clients. However, just having a business website alone isn’t going to be enough to generate more customers for your business. SEO stands for Search Engine Optimization. 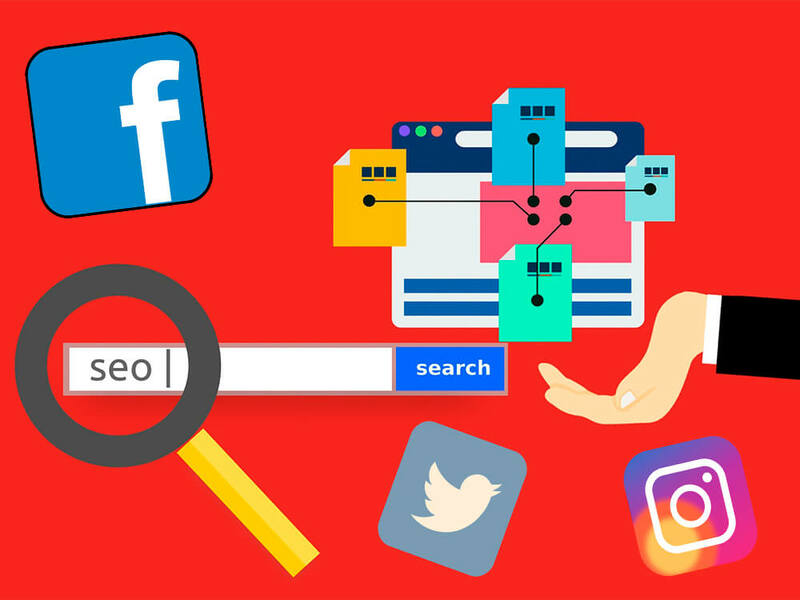 As a part of HVAC online marketing, SEO refers to the practice of improving a website to increase its visibility on search engine results such as Google. For any HVAC business that is serious in acquiring new clients, it is impossible to ignore the impact of Google’s reach. In the past, HVAC companies could easily find new customers if they place a large ad on Yellow Pages, and wait for the phone to start ringing off the hook. Nowadays, with nearly 97% of people look for local businesses online, SEO is a critical factor for any HVAC who wish to get new customers. Because the advertising landscape has changed, the cost of placing an ad can put a serious dent on a budget of most small HVAC businesses. By improving your website’s Google rankings using SEO for HVAC companies, you can get a constant stream of visitor traffic at a low cost that will convert into paying clients. With the top HVAC keywords in their SEO strategy, any HVAC company can have a significant advantage on Google because you aren’t competing for attention with other HVAC businesses across the world. You are competing only against other HVAC business in your city, and chances are many of your competitors aren’t putting the effort to rank on Google. With a highly targeted SEO campaign, you could put your HVAC business on top of Google local rankings quickly, sometimes as little as 30 days. We understand that SEO can be challenging for you. 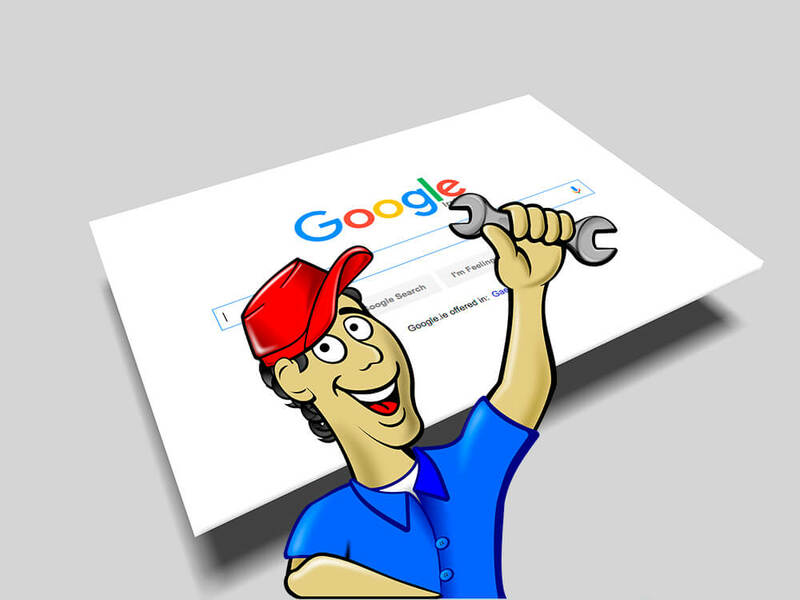 If you think you need help, Lasting Trend can provide the plumbing HVAC SEO solutions you need with our HVAC SEO services. We’ve already discussed that SEO is one of the best ways to market your HVAC business because you directly contact property owners who are actively looking for your services online. With nearly 97% of consumers go online to find local services, and 82% of smartphone users use a search engine when finding a local business, you can quickly get in front of ready customers with local SEO. The first thing you need to take a look at is your NAP (Name, Address, Phone number) information that is displayed on your website and see if they are correct. If they are outdated, you should update them immediately to reflect the latest info. If your HVAC is not on social media already, you should consider building a Facebook page for your business. A Facebook Page enables you to reinforce your local market presence to Google’s search crawlers – for free. It lets Google know where your business is, your business hours, and the type of services you render. Getting your HVAC business listed on the local businesses directory websites can also improve your company’s local SEO. These directories let Google’s search confirm the accuracy of your NAP information, so your website will be more likely to show up as a relevant search result for Google users in your area. On Google, you’ll notice that paid ads tend to dominate the top half of the search results. These ads show up whenever somebody runs a search using a set of keywords. On average, 41% of user clicks go to the top 3 paid ads of a search results page. When you create an ad for your HVAC business, it goes into an Ad Auction, where you bid for the top spot with other advertisers who are targeting the same keywords as you. Because you only pay when a Google user clicks on your ad, this form of advertising is called PPC (pay per click) advertising. On Google’s PPC platform Adwords, businesses make about $2 for every $1 they put into Adwords. With HVAC PPC, it’s a fantastic investment if you want to generate more reliable leads for your HVAC business. Finding an HVAC PPC company, such as Lasting Trend can also help you achieve your marketing goals quickly. If you’ve ever found that ads are following you no matter which website you visit, it’s likely that you have experienced remarketing. Remarketing works when a prospect drops by your website, a retargeting advertiser such as Google AdWords leaves a cookie in the prospect’s browser. When the cookies prospect leaves your website, the cookie tells Adwords when he or she collects another one. This is a clear indication that the prospect is actively looking for HVAC services similar to yours. So Google will automatically serve your ad to the prospect. Retargeting ads are much more powerful this way than traditional HVAC advertising. Retargeting ads are highly effective when you have the right HVAC advertising ideas– statistics show that visitors retargeted with ads are 70% more likely to convert.  When it comes to HVAC advertising, you can retarget and remarket your services across hundreds of websites, including popular social media platforms like Twitter, LinkedIn, and Facebook. Email marketing is merely the process of sending marketing material through email. While it may be an old dog in today’s digital marketing world, what sets email marketing apart is that it is permission-based marketing. Recipients have given consent that they want to receive promotional emails from your business. Because of this, HVAC email marketing has a wildly high ROI (return of investment) compared to other forms of modern digital marketing. With just a few cents a day, you can convert leads to ready buyers, or even upsell your HVAC services using HVAC email marketing. Facebook HVAC refers to marketing your HVAC business on Facebook. It’s an excellent way to reach hundreds or even thousands of prospects quickly. Today, 70% of consumers expect a business to have a well-maintained social media presence. When you place HVAC Facebook ads, you can quickly make your HVAC business information available to thousands of Facebook users, using Facebook’s ad targeting pixel. Posting regular HVAC Facebook posts lets you maintain regular communication and even respond to queries and comments from ready clients. An HVAC Facebook page alone may not be enough to drive organic traffic; you might need to supplement your Facebook strategy with paid ads. With more than 2 billion Facebook users, Facebook HVAC marketing can complement your SEO efforts and increase your organic reach. HVAC Video marketing refers to the use of video format to market your HVAC business. Several video marketing statistics indicate that video is an effective medium to increase your reach. Compared to text content, a video is 50 times more likely to rank on Google. Also, 50% of consumers who watch a video of a product say it helps them determine their buying decision. In HVAC internet marketing using video, YouTube is the biggest platform and can help you to drive your brand voice and build trust. Some of the best HVAC video marketing materials include videos on customer testimonials, company culture, and videos that highlight the key benefits of your HVAC services. We have some bonus HVAC business ideas to inspire and help you find new ways to market your HVAC business. 1. Pay-per-lead listing websites such as Home Advisor are great options to get your business in front of ready-to-buy customers. Available in several states across the U.S., Home Advisor will help match your HVAC services with project-ready customers. Before you can join Home Advisor as a member, you have to undergo a screening process. Once you are approved, the Home Advisor will start matching customers in your area with you. 2. When you start to experience a larger volume of potential clients and leads, it can be challenging to manage your lead flow properly. Mismanaging your customers due to disorganization can lead to loss of business and revenue. Consider investing in a good CRM (customer relationship management) system to help you handle all customer-related processes automatically. Lasting Trend is a CRM business solution designed to help your HVAC business do just that. 3. Everyone likes freebies, so consider making giveaway products branded with your HVAC business’ logo and NAP to help spread the word about your HVAC business. Having useful everyday items placed in front of potential clients in their day-to-day lives can help keep your business on top of their minds until they need your HVAC services. Luckily, you don’t need to spend a fortune to create promotional giveaway products. You can find a ton of options based on your budget. Hand out a giveaway whenever you’ve finished a job on-site. You can also distribute them away at your local trade shows and events. Q: How to market my HVAC business? A: If you follow the methods laid out in this article, you should be able to conduct your HVAC marketing both online or locally. You should also have no problem finding leads for your HVAC business. However, we understand that certain aspects of promotion will be challenging for you. For air conditioning marketing ideas, you might want to reach out to a helping hand, and that is where Lasting Trend can help you achieve greater marketing success. Q: How much is the HVAC industry worth? A: Based on this report by the Transparency Market Research, the global HVAC sector is targeted to hit $95 billion. There is also a potential for the global HVAC industry to reach $130.7 billion by the year 2020. Whichever way you look at it; the HVAC industry is projected to grow upwards in the near future. With more business opportunities available on the horizon as demand for HVAC services grow, you can expect your HVAC business to grow if you can get your brand across your market. Q: How do you make HVAC sales leads? A: If you want to know how to get HVAC leads quickly, and budget is not an issue, then you can implement a PPC (Pay-Per-Click) ad campaign. PPC ad campaigns are the most cost-efficient way that businesses such as HVAC can get new leads within a shorter period than free marketing methods (like SEO or social media outreach). There are also less expensive ways to get new leads, such as growing your presence on popular social media platforms, such as Facebook, Twitter or Instagram. Implementing a sound SEO strategy on your business website can also help increase your presence and customer awareness of your HVAC business. 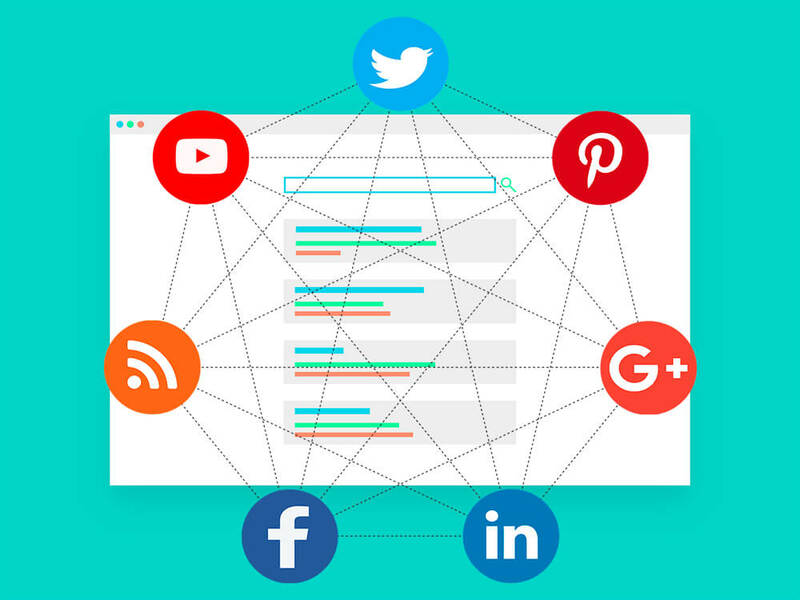 Mixing a variety of free marketing methods that are discussed in this article, such as SEO and social media outreach, can improve your chances of getting more sales leads than carrying out a single method alone. Choose the best HVAC online marketing method that works best from your business. Q: How do you market a service company? 1. Look for a way to achieve market differentiation. In businesses such as in the HVAC industry, you often find that your competitors don’t make themselves different from each other. If you can find something unique about your service-based business and market it as a unique selling point, you’ll be able to stand out from the crowd and get in front of your customers more easily. 2. Your customers are always looking for ways to save money and time. Fortunately, as a service-based business, you can offer bundles that add value to your customers. Bundles provide price discount and help your customer save time from choosing ala carte services. Look for ways you can package your services into bundles and offer a reasonable discount. 3. Most of the time, business spend too much time and money looking for new customers, when they can easily save on both by looking inwards at their existing customers. Your existing clientele is one of the best places to look for more business. These people have already crossed the “buying hump” and are much more willing to spend their money on your business. 4. Consider giving out incentives to people who bring you referrals. Word-of-mouth advertising can be a potent marketing tool, thanks to the popularity of social media and influencer marketing. Create an enticing referral scheme to encourage people to bring more customers to you from their network. 5. Think of new ways to raise your visibility. Some excellent methods to local media visibility include sponsorship to local community programs, donations to charities, or even setting up grants for local schools and colleges. A robust digital marketing strategy can be a game changer for your HVAC business, and bring in consistent quality leads to your doorstep. While gone are the days of “place-and-forget” ads on the Yellow Pages, you can still generate more business than you can handle using a mix of marketing methods. If you want a steady stream of customers, it is time to modernize your method of leads generation. Start by updating your website with your latest contact information and a mobile-friendly interface. Next, use highly relevant content to place your business on Google’s search results to gain visibility. Finally, look into ways to promote your HVAC business using paid ads such as Adwords or Facebook PPC ads. Leveraging on Google search results, SEO, social media, or even PPC ads can let you reach out to more customers and build a community of followers. These efforts can also allow ready customers to find you easily through local SEO.